Feels like an age and a half since I have had a proper posting on my blog and after having come back from a great trip to Edale (see previous posting) where I met wood turner Robin Wood, I now feel all inspired to get blogging again. 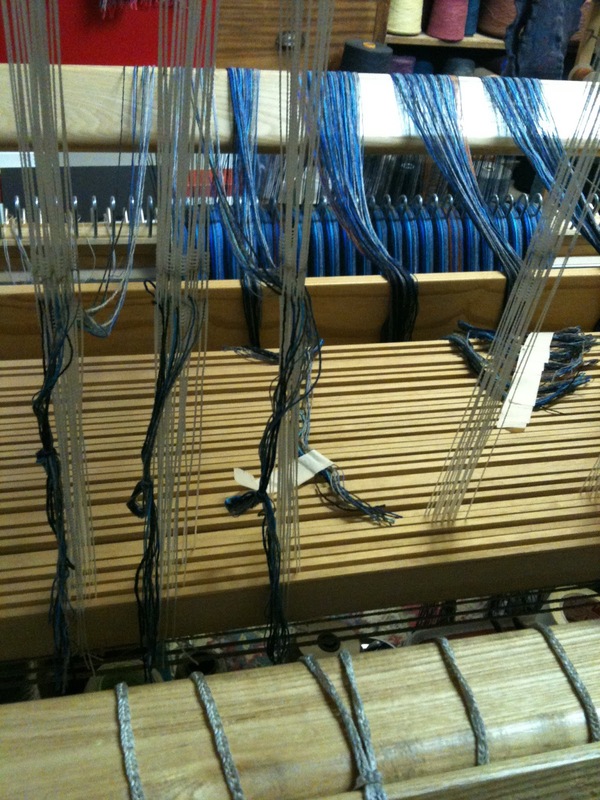 These are some pics that I tweeted from @PickOneWeaver earlier today from my Leith based studio. 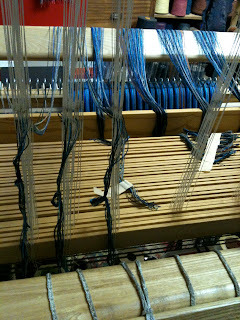 I completed warping up and began threading/dressing my 32 shaft Louet Loom for my third and final double cloth collection, using my v. handy sectional warping back beam. As with previous warps yarns used consisted of the face cloth being a warp of 2 weights of mercerised/mercerized cotton and the back cloth a lambs wool. Both cloths are beamed directly onto the single back beam. 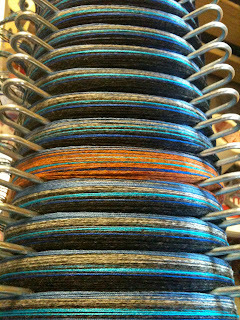 I will be weaving this piece during the next open studio event in the first week in December - more details on that to follow. 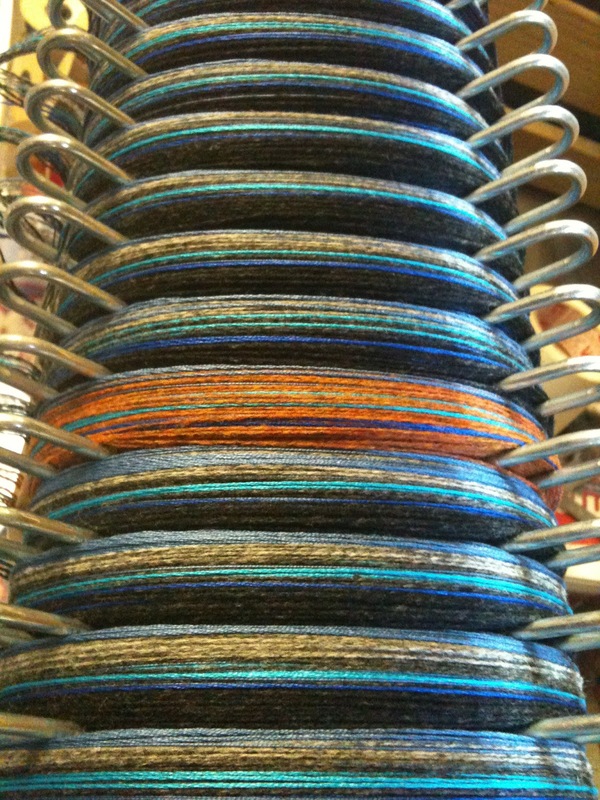 I anticipate getting approximately fourteen 2 meter plus pieces out of this warp. More pics to follow as I move through the weaving and finishing process. 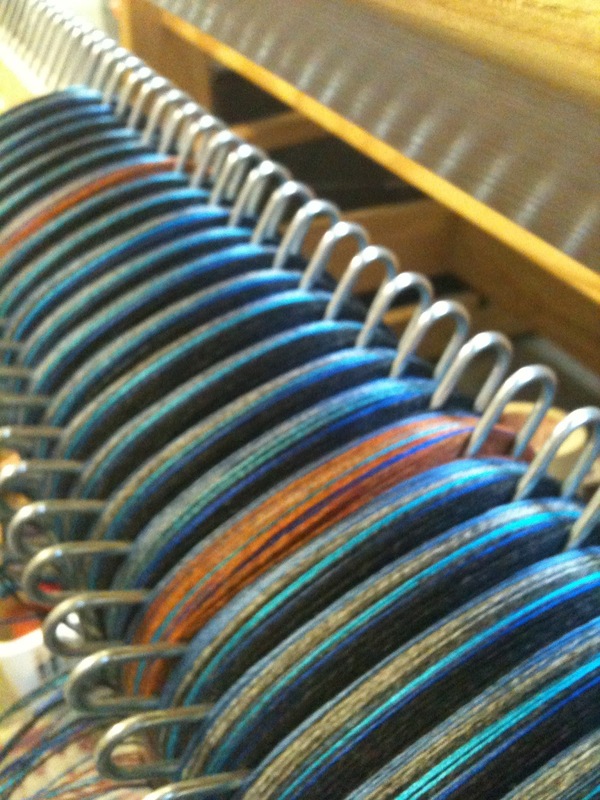 Do you know I run weaving classes from my studio space in leith? If you would like more info please let me know.